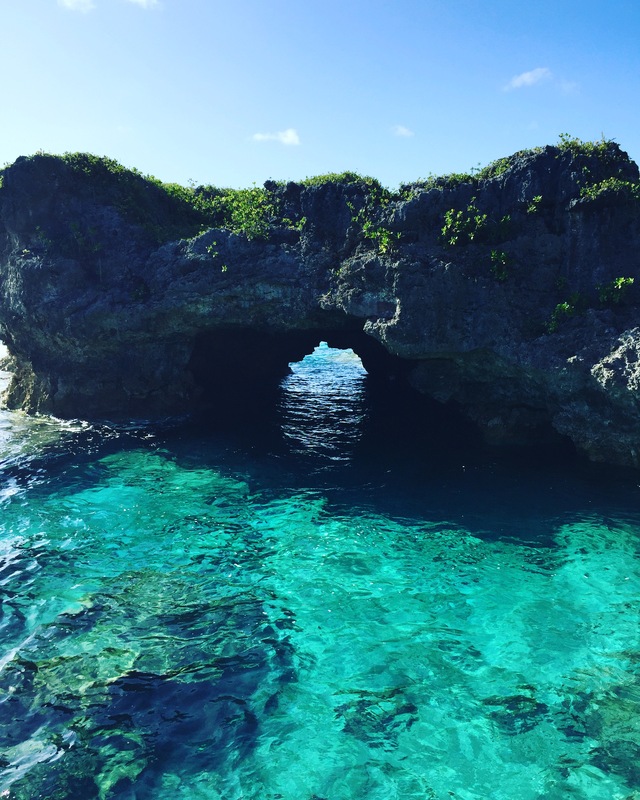 Within 24 hours I had already decided Niue was something special. 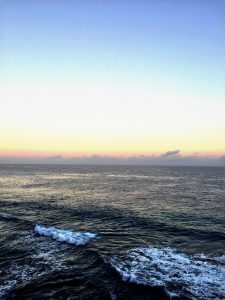 I had done a lot of research leading up to our holiday so I knew what to expect and what not to expect. No sandy beaches. No wifi. No shopping. Instead, unique sea tracks going down to the reef, intriguing marine life, aqua blue pools and chasms to explore and the much talked about friendly locals. Niue is one big coral atoll – known as The Rock of The Pacific. Therefore it is a unique pacific island with no idyllic vast white beaches that stretch around the island. Nope. None. Of. That. 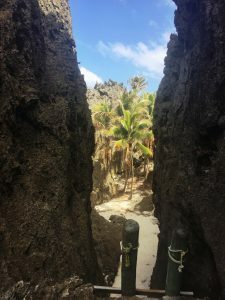 Instead, it is a true adventure to get down to the ocean by the way of bush tracks and a few rocky steps (or A LOT, 155 steps down to Anapala Chasm). 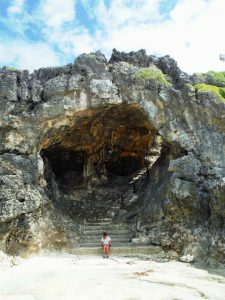 Each sea track is completely different which makes exploring the island exceptionally fulfilling. We kept very active while we were over there and climbing up and down the stairs made us value the view at the end of the track much more than we would have if we had just parked the car and BOOM there’s the view. As you step down the last step your feet meet the reef and your eyes are set on the clearest water you will ever see. With very little sand around the island, the visibility in the water is 100! MERMAID MATERIAL. We spent the majority of our time adventuring to new spots to explore and snorkel. We lived in the water. If we weren’t out and about we were relaxing at the resort, taking in the sounds of the crashing waves on the reef, trying not to get burnt and catching up on reading some bloody good books. 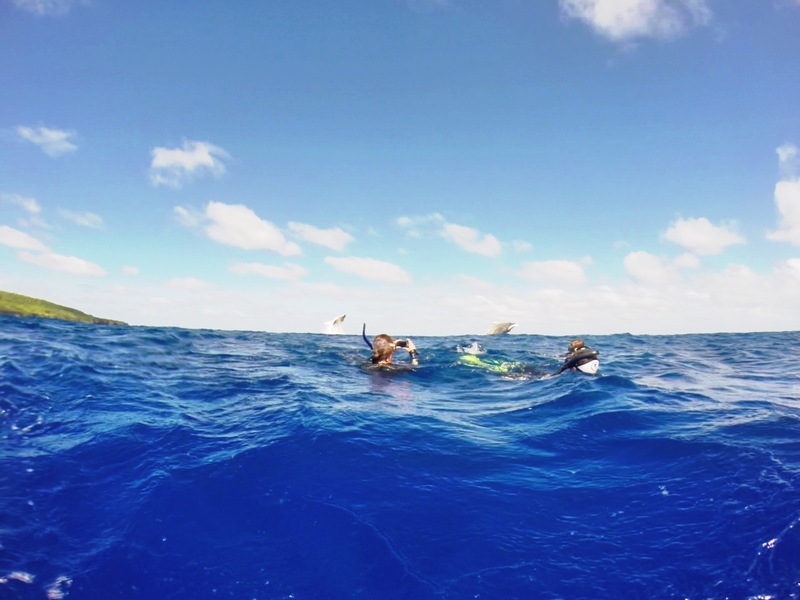 We had an action packed afternoon a couple of days before we left when one of the dive boats capsized on the reef. It wasn’t good but made for an eventful afternoon. Nobody was injured. Just the boat, which sucked as we had booked in to go on a 2nd whale trip that was then cancelled. Lucky for us we had an indescribable experience the first time we went out. 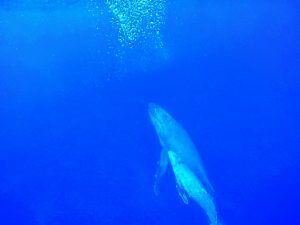 The highlight of the holiday and absolutely a life highlight was swimming with the humpback whales. HOLY BALLS! The whole experience is hard to describe. 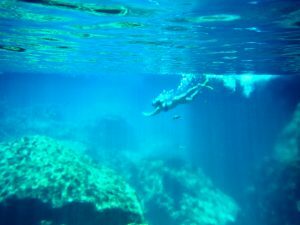 When we were in the water with them I was completely relaxed and entranced by their size, beauty and the deep (never-ending, what is even down there?) azure blue water. We floated on the top of the water just above the majestic mammals for about 3 or 4 minutes, which felt like SO much longer – we started to head back to the boat when the calf went in for a feed and as we began kicking our fins, two other whales not far from us breached at the same time! Totally topped off the whole experience – although the heart rate tripled knowing very well what would happen if they were to do that any closer! We got back onto the boat with the cheesiest grins and it took a while to register that that had actually just happened. The spinner dolphins that live around the island also gave us an impressive show while we were out on the water, chasing the boat, jumping through waves and doing all that they could to impress us!! An experience I won’t be forgetting anytime soon! Once back on dry land we would head to the next spot to explore! 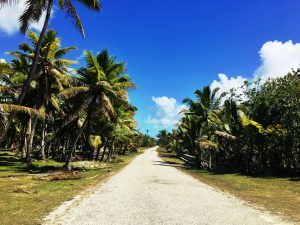 Now, if you’ve used my friend Google to find out about Niue, you have probably read about the people of Niue being super friendly and that everybody waves to everybody. Well. That is NOT an exaggeration. While driving, not only do you need to concentrate on avoiding the potholes, swerving the chickens crossing the road (some followed by their uniform line of 8 chicks) but be ready to wave to each and every vehicle that passes you . It’s pretty sweet, especially if you’re good at multi-tasking. But seriously it was pretty special how everyone is welcomed and treated as a part of the community whether you’re there for seven days or seven years. Every ‘thank you’ is followed with a ‘you’re welcome’. And every smile is returned with an even bigger toothy grin! 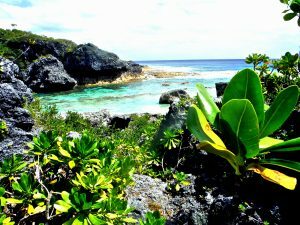 Niue is truly something special. A unique, untouched, unbelievable island that is waiting to be explored! See More | Niue: The Coconut PART 2 COMING SOON! Featuring: Video footage, list of top places to go exploring and HEAPS more!